Sorry everybody, looks like there won’t be a post this week. We’re having technical difficulties. Also there will be no post next week as I am away. 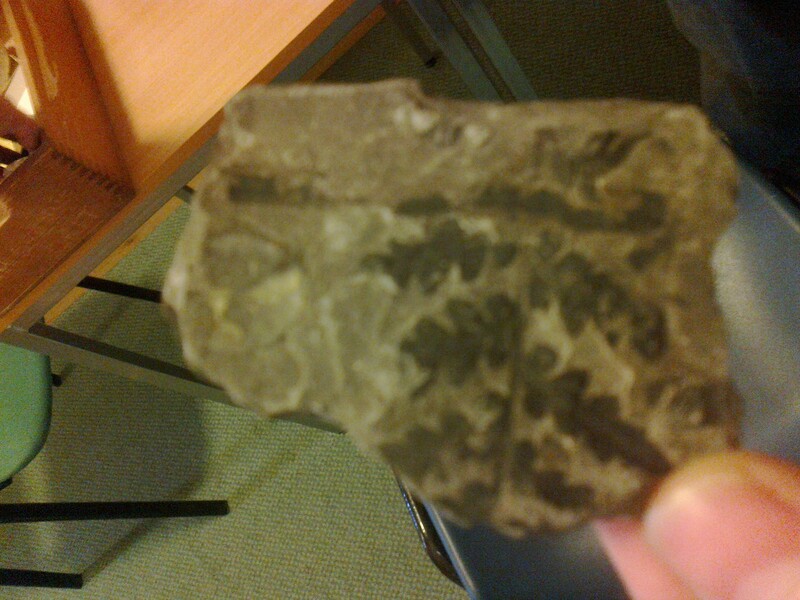 In the mean time, here is a photo of a fern fossil. It is one of the many fossils we have in our collection. They were once the property of our Geography department. An imprint of a fern. Some the fossils in our collection are truly beautiful. I love reading old Marjon Magazine issues. There is always something interesting- an article, an interview or even an old advertisement. However sometimes what goes into the print is just an abridged version- something that got a little column in the magazine can be a story in itself. In the 2000 issue there was a small mention of the rescue that took place on the moors. A group of Marjon students rescued two men that got lost. In the publication materials I’ve found the letter that was sent to the principal and which tells the story in details. Don’t let the cute ponies fool you! 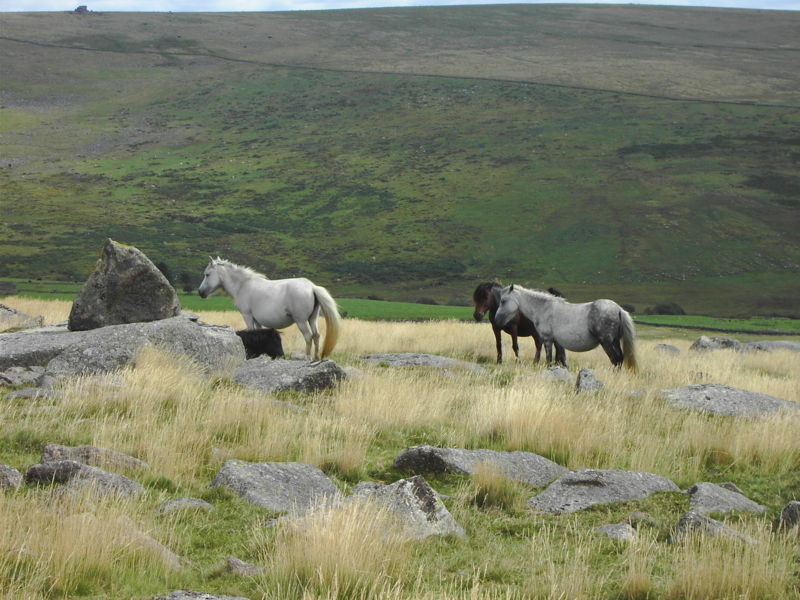 Dartmoor is still a wilderness. Two men went for a walk on the moors: Colonel Geoffrey Sharland and David Purnell. They had left Dartmoor Training Centre at 11 a.m. The two sensor gentlemen had neglected to take necessary preparations for a trek like that and by the 6 p.m. they have been completely lost, without mobile phone or even a compass. They have been traversing bogs, streams and tussock and three were exhausted and without means to get home. With little choice they had, they made their way to a nearby tor. They had hoped to get themselves to a dryer terrain and if there would be no rescue coming- to get ready to spend the night in the moors. But those two have been in luck! Just before 7p.m a group of Marjon students answered their calls for help. They were the students of the third year of B. Ed. Secondary, training on the moors that day. The rescued gentlemen highly praised our students for their patience and skill in the letter. ‘There were no whisper of blame for our idiocy on venturing on the moor so ill equipped; our wives have since made up for that omission’- they said in the letter, which made me smile. It all happened more than ten years ago, but it still makes me happy that all ended well and furthermore, our students had a chance to be heroes! People come to the archives for many reasons: they want to know about their families, they want to know about the area and history. In general, they come to get answers for their question. But sometimes the archives give more questions than answers. Documents, pictures items are donated often after the death of their original owners and their meaning gets lost. Those are the questions I got while digging through the many boxes in gathered in the archives. There is a professionally taken picture of a man in traditional teacher’s robes. Something you’d see on the back of a book or possibly in a newspaper or magazine. Who is he? A principal? A celebrated lecturer? Well, he’s Clancy. That’s all we know about him, since that’s all what there is written on the back of I the picture. There are two letters that were returned to Marjon because the addressee moved away. There is a note on them that they’re to be forwarded, but for some reason they weren’t. Both of them are still sealed, so there is no way to tell what’s inside. The main question is: what should be done with them? Should they be opened and risk the knowledge there is something utterly boring inside or should they remain a tantalising mystery? There is a postcard of a very old, restored double-decker bus. Why do we even have it? It hasn’t been written on. Was somebody connected to us that took that photo? Or driving this bus or one just like it? Or maybe was it just like Kirsty, one of our volunteers, suggested- a bus like this used to bring people to St. Mark’s College. It might seem like that kind of mysteries would be impossible to solve, but sometimes we get lucky and the baffling object gets an explanation somewhere else in the archives. There was this group picture of soldiers in various uniforms. There was no explanation or date on the back. But the answer to questions about that picture was hidden in one of the year books. There was a reunion held for those who survived the WW1 and that’s why the picture was taken- to commemorate the reunion of the students who served in different armies and regiments. Just when I started to think that I know what’s what in the archives, I found myself completely baffled with the things I’ve found. Who knows what else I’ll find next week?